Give your friends and family the gift of a GREAT night out with Entrées & Encores, the Palace Theater’s Dinner and a Show gift certificate program! Customers can purchase restaurant gift certificates redeemable at a variety of local dining establishments, and Palace Theater gift cards redeemable on tickets to most Palace Theater shows & events, bar & concession sales, and on memorabilia from our gift shop. Palace Theater gift cards may only be redeemed in person on ticket purchases at The Palace Theater Box Office at 100 East Main Street, Waterbury. You may call the Box Office and order tickets to be picked up at Will Call, but you will need to present the gift certificate to receive your tickets. 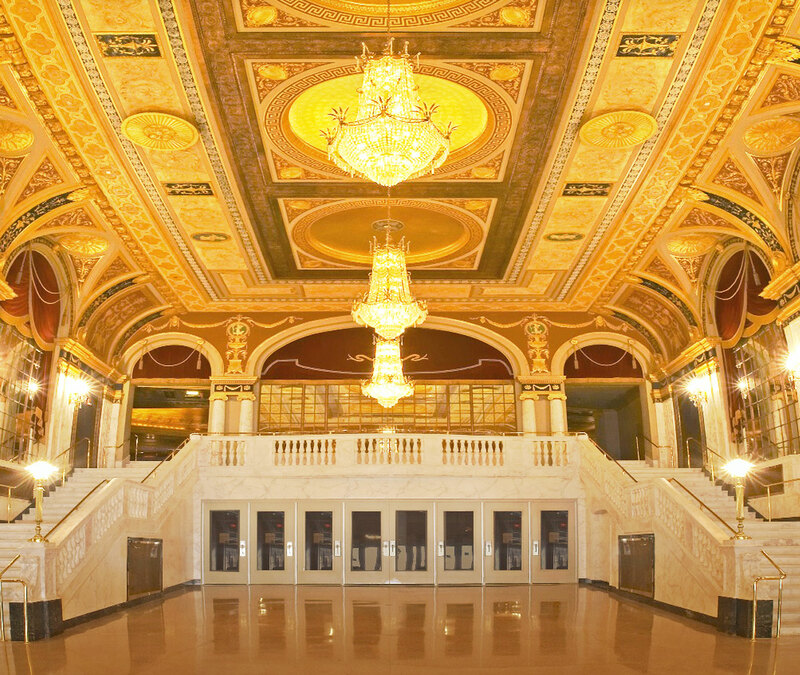 Palace Theater gift cards cannot be redeemed on purchases from third-party sellers who may be selling products in the Palace Theater, including show-related merchandise. Purchase an Entrées gift certificate or Palace Theater gift card in a variety of denominations and let us help you plan the perfect night out on the town!